Last month we had a temporal set back when our compressor which had been acting up for about an year decided to cease on us. And that was right in the middle of a contract to drill three boreholes. We were just about to complete the first of the three boreholes when the compressor failed and after so many attempts at repairing it we just couldn’t go through the process again. We ordered a new part and thank God in just two weeks we had it shipped and loaded on the rig. We’re back on track, having drilled three boreholes and serviced one in the three weeks we’ve had it back on the road. 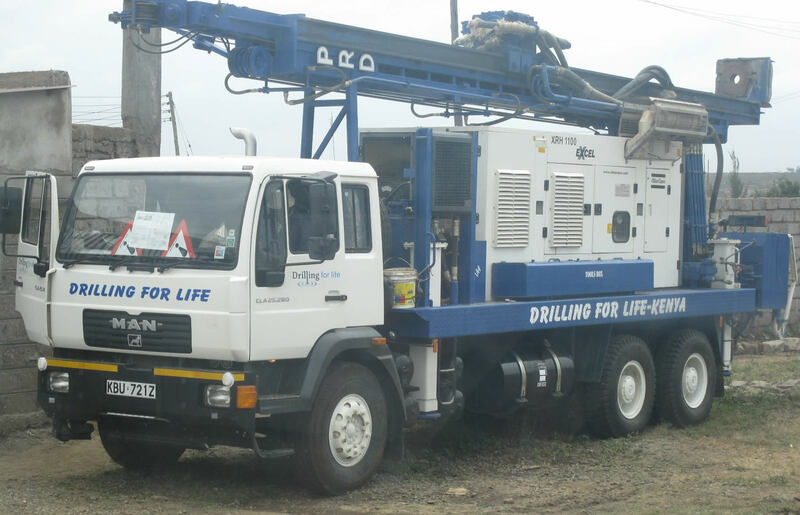 when i set out to drill a borehole , picking a reliable driller was not an easy task,every one wants the business but not every one fits the bill.In the end ,after careful consideration and use of elimination method, i settled on Drilling for life . The moment i arrived at your offices in Thika ( after visiting several drillers) i felt i was the right place. You did a wonderful job for me in EMBU and i will not hesitate recommending you to any friend and or potential customer.Thank you and keep drilling it for life !